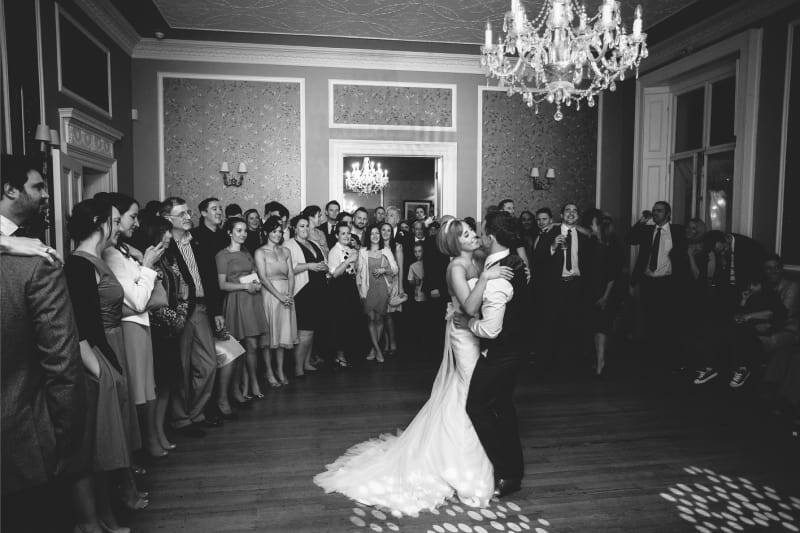 Welcome to this Bridebook interview, featuring Danielle Rolfe of Penton Park. This piece is designed to inspire other wedding suppliers – budding or current – and help them to realise that they can do something as wonderful and as huge as turning a beloved home into a UK renowned wedding venue. Danielle Rolfe traded in a career as a London Insurance Broker for a new life as Lead Events Manager at the glorious Penton Park. 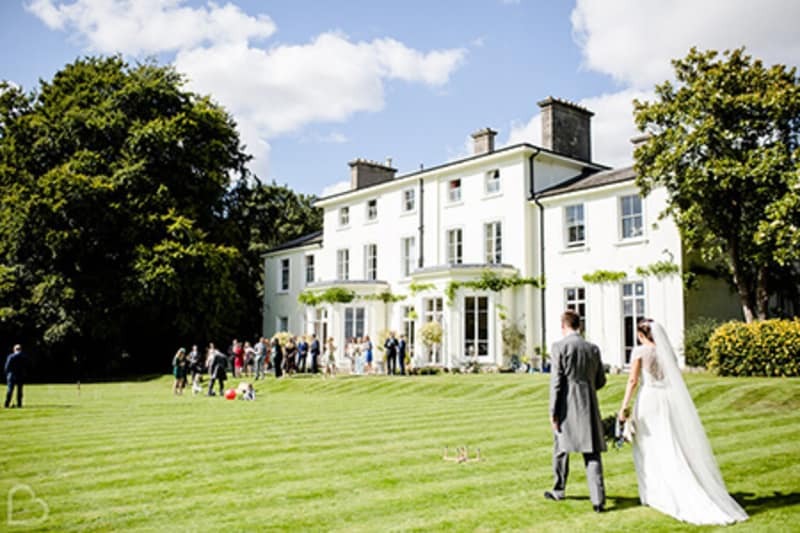 Oh, and did we mention that this wedding venue also happens to be her family home? As we introduce ourselves to Danielle it becomes clear that she’s a very busy woman indeed. We’re on loudspeaker as Danielle drives into her estate and just as our interview gets going, we’re interrupted by a fallen tree. “Do you mind terribly if we pick this back up in half an hour?” she says. “I’m going to have to drag this tree out of the road”. What a wonderful, real-life example of the multifarious nature of wedding venue management! 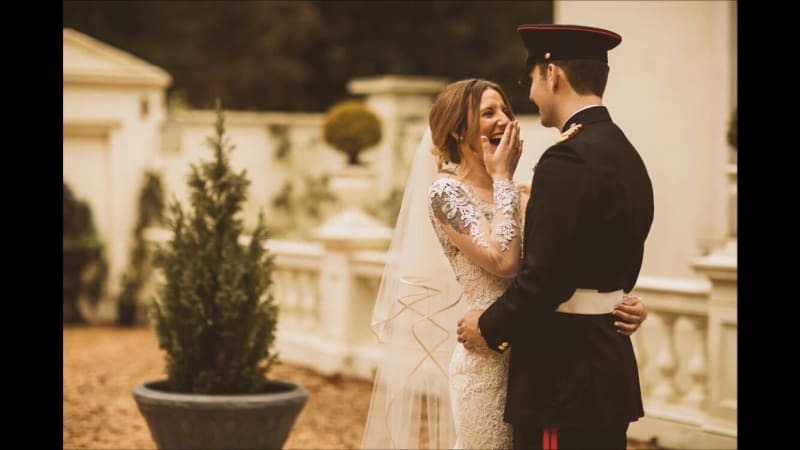 And by her own admission, despite the long hours and hard work involved in managing a wedding venue, Danielle loves her new life in wedding venue management and would never look back. In 2011, myself and my husband married in the local church and held a traditional wedding reception at our home in Penton Park. I think it was only then that we realised what an amazing wedding venue it was and our guests said exactly the same. It had the real wow factor and made for such a memorable day. We started hosting birthday parties, anniversaries and charity events at first, and we found that we really enjoyed it and that the house was well suited to catering to such events. We soon began to think about weddings at Penton Park. We wanted to find a way to use the property as a self-generating revenue stream and to future-proof our income – a big house requires a lot of maintenance and upkeep after all. In 2013 we decided to officially go for it with weddings! I spent a lot of time learning the ropes and deciding on how we’d integrate weddings into family life, and vice versa. We decided to make Penton Park an exclusive venue, hosting only 20 Saturday weddings per year. This ensures that we never fall short on customer service and that we keep some weekends free for family life. After a prolonged wait for approval of an on-site wedding licence, we finally began hosting wedding ceremonies at Penton Park in 2016 – having already dipped our toes in the ‘wedding reception only’ field. What our guests love about Penton Park is that they really are hosted by a family here, and in turn, my family and myself live and breathe the venue. Bridebook: Were all family members in equal agreeance when you suggested the idea of turning your family home into a wedding venue? Absolutely yes. Everyone was fully in agreement and excited to get stuck in. We all have separate wings in the house and there’s a separate exit and entrance for family and for events, so it works really well. The grandparents sometimes treat themselves to a night away when we host weddings, and at other times they love being around to soak up the atmosphere – albeit from the comfort of their own quarters! Our children are completely used to it and it doesn’t faze them at all. I like to hope that they’ll be the next generation of wedding planners and I know for sure that they’ll someday, not too far away, be an imperative source of market research for us! They’ll be telling us how we should be doing weddings to suit their generation, and they’ll help us keep evolving and stay current as a wedding business. 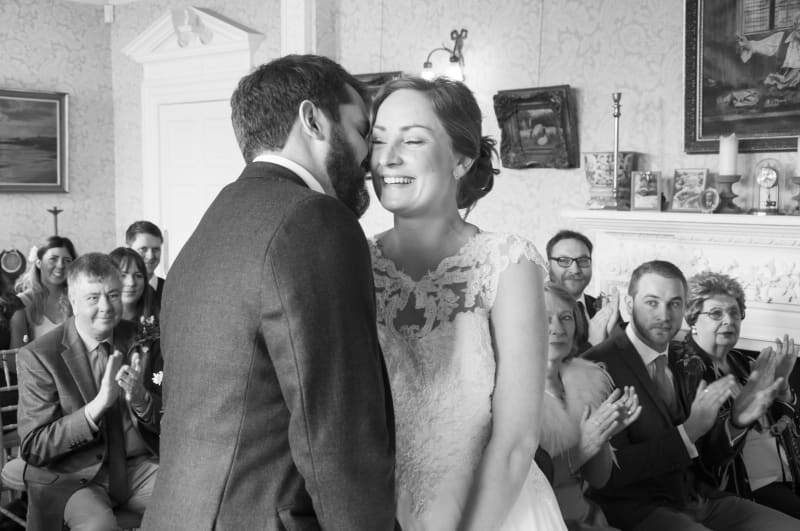 Bridebook: What was it like to go from family home to wedding venue!? Well, I guess one of the challenges was making sure that we’re presentable at all times – that is, the house and everyone in it! We have three girls so it’s inevitable that a stray Barbie will make it in the shot at occasional meetings. We just assure couples that on the day, there will be a professional clean and that they have nothing to worry about as far as Barbie is concerned. Turning our home into a wedding venue hasn’t really disrupted life at all. We started gradually and have grown into it. The concept grew with our experience and the number of weddings we host. The first wedding we held was really emotional. My husband and I were so proud of everything we’d managed to do, and it also brought back memories of own wedding day. Everyone’s in such a great mood at weddings it’s impossible not to feel elated at each and every wedding we host at Penton Park. Bridebook: Do the family cats and dogs stay to help out at Penton Park weddings? They do. We try to hide the dog away as he’s a huge friendly giant but he has been known to make some guest appearances at the couple’s request! We have two cats and they’re slightly more difficult to hide. They often make guest appearances and actually once joined a group of guests in the photo booth! It’s these kinds of things that make it feel like a family home and that’s what Penton Park is all about. We want to keep that feel of a family home, not fall into hosting cookie cutter weddings. Bridebook: What does a typical day of wedding prep look like at Penton Park? We always set up the day before and aim to have everything done by 2pm. The couple have complete freedom to visit us the day before for peace of mind, and then we wave them off and tell them we’ll take care of everything. Weddings at Penton Park finish at midnight. We clear up for them the next day and they then return to pick up their stuff. Bridebook: Are couples able to personalise their wedding day entirely at Penton Park or are there limitations as to what they can / cannot do? Couples are free to personalise their day almost exclusively. We are happy for them to take down pictures and most decorations, but we cannot move any of the larger wall hangings. That’s purely logistics as some are pretty huge! But we always say this is a country house and so couples choosing Penton Park will do so because they love the charm and character that comes with that. That being said, couples are welcome to put their own pictures and decorations up. We’re very much present as background staff to help bring wedding themes to life. We’ve had formal and informal, inside and outside. 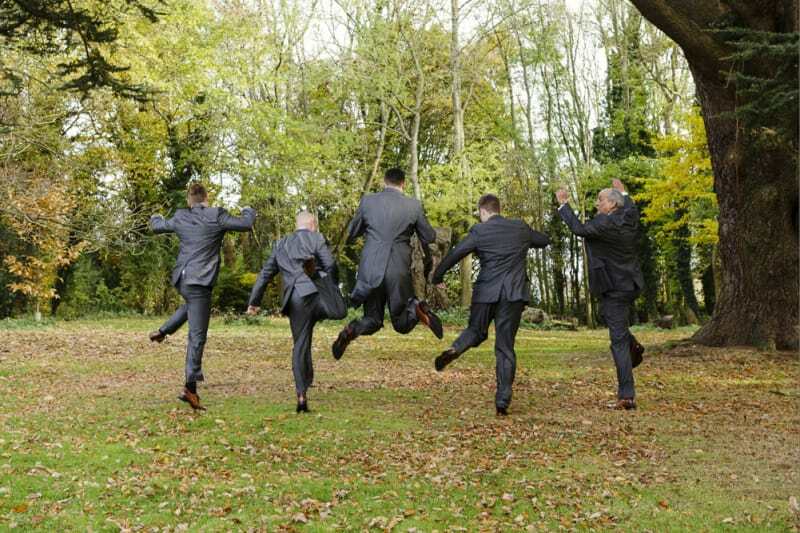 Bridebook: Have you ever had to step in and stop any bad behaviour at a wedding? Is security something you manage yourselves? We sometimes have to reign it in slightly as things can get a bit raucous toward the end of a wedding, as we all know. We had all guests around the pool table with sambuca in their hand recently so had to politely request that they step away! But people are so respectable because they know it’s a family home. If we host a wedding of over 100 guests we do insist that they hire security, just for peace of mind. Bridebook: What advice would you give others looking to start a wedding business like yours? I’d say it’s really important to network with other venues – whether they’re similar to your venue or completely different. We’re part of the Historic Houses network and I attended a lot of seminars at Hodsock Priory and some at Iscoyd Park, where I received lots of support and advice. You do have to be a member but any country house hosting events of 100+ people are eligible and it’s really great for networking. I’d say my strongest advice with regards to networking is don’t be afraid to pick up the phone to venues nearby. I contacted a barn style wedding venue near me and because we’re really different we may be able to help each other out. If I meet a couple who are looking for more of a barn style wedding, I’ll recommend them. Be supportive and work together. If you only have similar style wedding venues nearby, pick up the phone and ask; how do we stand apart from each other? Identify what it is that each of you does differently as it will work in both of your interests. Find out first hand what running a wedding venue involves before you take the leap. Shadow weddings at other venues to see what it’s like before you transform your home into a wedding venue. It’s hard work. You’ll work harder than you ever imagined but if you’re anything like me, you’ll find it so rewarding. I must say that you can’t quite comprehend what 120 drunk people are like until you see them with your own eyes. Invest in your team because they represent you from start to finish – they’re an extension of your in-house family. We have an in-house event manager and she’s fantastic. We also use preferred suppliers as we like to recommend wedding professionals who we know can do the job well, first hand. Bridebook: Do you think more families are choosing to turn their homes into wedding venues or is it still an unusual concept? I see and hear of a lot more people doing it now. Some mistake it as being an easy route to making money but we know first hand that it’s hard work but also a lot of fun. It’s a lifestyle. It will, of course, impact your weekends. We only host 20 weddings per year but we also offer viewings at weekends which take up a considerable amount of time. Bridebook: Have you noticed any changes within the wedding industry of late? I’ve been surprised in the past 18 months how many people will come and view your home/venue at a weekend and you’ll never hear from them again. They never get back in touch. It just didn’t happen in the beginning when we were first starting out. People seem a little more blase about the whole experience and I think perhaps they forget that we’re real people and we invest ourselves emotionally in their journey too. Are you considering starting your own wedding venue? Have you any similar experiences to Danielle at Penton Park that you’d like to share? Please get in touch or leave your comments below.